A movie about one of the great maritime disasters of World War II had a little disaster of its own. A WWII-era Navy sea plane broke up during shooting for an upcoming movie about the sinking of the USS Indianapolis near the end of WWII. The film crew had to evacuate the plane for safety reasons. The crew attempted to salvage the aircraft by bringing it on to a barge, and during that process the plane broke up. The movie, which seems to be part “Jaws,” part “Open Water,” will focus on the men of Indianapolis who waged a harrowing fight survival for days in shark infested waters. The heavy cruiser was torpedoed by a Japanese submarine, taking about 300 sailors to the bottom. The survivors then battled sharks and exposure for five days. Ultimately only 317 survived after being rescued by PBY seaplanes. 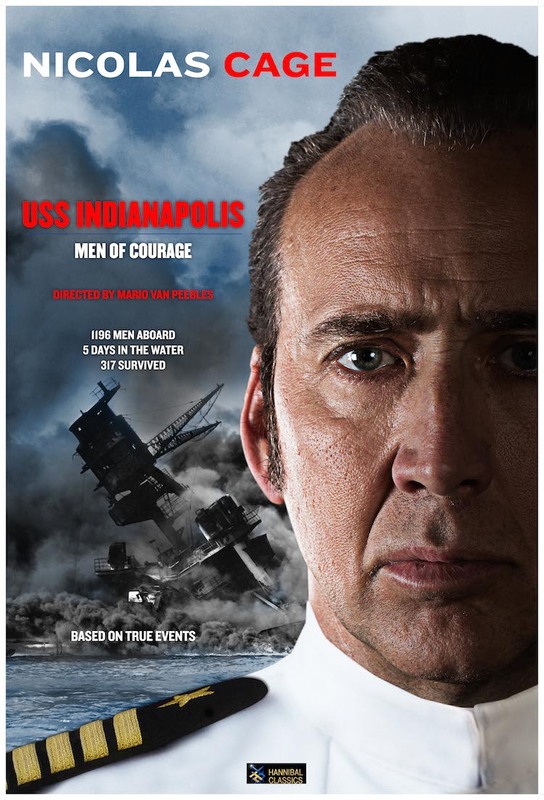 The movie stars actor Nicolas Cage, known for such films as “Con Air” and “The Rock,” as Capt. Charles McVay. McVay is a tragic figure who the Navy tried to blame for the tragedy. He was convicted of dereliction of duty hazarding his ship at a court-martial but the sentence was ultimately squashed by Fleet Adm. Chester Nimitz. McVay retired as a rear admiral. He later committed suicide in 1968 at age 70.